Card readers that can read smart cards are called smart card readers. Card readers that can read memory chips are called memory card readers. They are commonly used for identification to control financial transactions or door locks. USB devices automatically find and install device drivers. The difficult part is finding documentation on how to interface with the driver. Card readers are often integrated into keyboards. This saves space and USB connections. In theory, there need be no sharp dividing line between a USB Flash drive and Smart Card but in practice they each serve a different niche. transporting data ID and electronic commerce. 32 or 64 gigabytes of RAM Only 300 bytes to 32K bytes. Requires no software other than the driver automatically installed when you insert the flash drive into the USB port. Requires a driver for the reader and application software to control login, the lock, access to files etc. has no CPU or a CPU that does nothing but guard the contents of the drive with a PIN and possibly encrypt/decrypt data transparently. has a CPU that can digitally sign, verify, encrypt and decrypt messages. It may be custom programmed at manufacturing time. can store the private key of a digital certificate, but it is just ordinary data. The owner of the drive can look at it or change it. has private keys for digital certificates burned into the hardware in a way that is completely inaccessible or modifiable by the owner. He can digitally sign, verify, encrypt and decrypt messages with those keys however. Green/Grey. It looks like a USB flash drive, but you can insert memory cards into slots on the side. It handles Secure Digital Card (SD), MultiMedia Card (MMC) or MicroSD cards. Reads pretty well anything. It is compatible with 56 types of memory card. 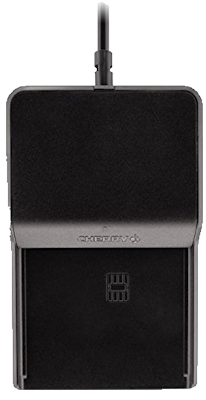 Supports CompactFlash Type I, II SD/SDHC/Mini SD/MMC Olympus and Fuji Film flash memory Micro SD/Micro SDHC/T-Flash Memory Stick/MS Duo Memory Stick Micro (M2) USB 2.0 transfer speeds up to 480Mbps. Cherry chipset. Reads smart cards that have a chip and require contact. The more expensive ST-1275 model can also handle contactless cards. 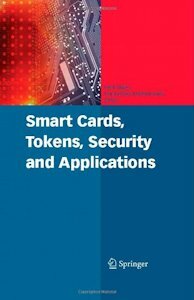 Overview of the many card systems and solutions that are in practical use today.